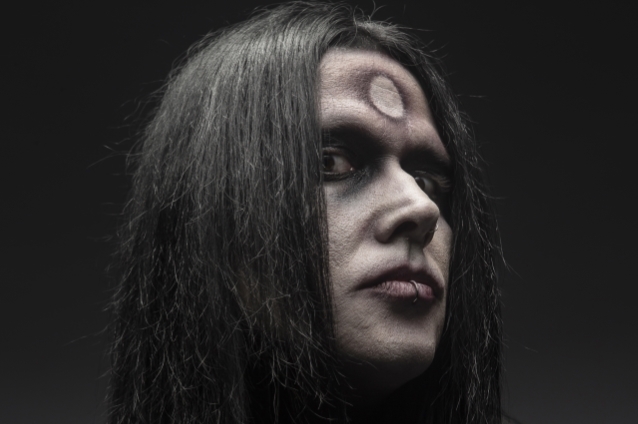 In a brand new interview with Grizzly Media, horror-punk stalwart Wednesday 13 once again spoke about the current status of MURDERDOLLS, his one-time project with former SLIPKNOT drummer Joey Jordison. He said: "Joey and I have reconnected. Earlier this year, we had a couple of days off, and somehow it worked out that we had a day off in his town. And we went by and we caught up and we talked and we mentioned the idea of doing MURDERDOLLS, would we wanna do it again? We both said yeah — it was fun; we had a blast doing it. But we didn't set a timeframe, and we didn't really say it would be an album or reuniting…"
He continued: "My idea was, let's do a couple of shows here and there, see what happens. And if we have a good time doing those shows and there are still fans there — I know there are — and there's fans there that [want to see it], then there's no reason… He's doing his project, and I'm gonna continue doing WEDNESDAY 13, but there's no reason why MURDERDOLLS couldn't be a band that does a show from time… one show a year in one big city, or one in Europe and two in the States. There's possibilities — its just logistics of my schedule, his schedule and doing it. And what lineup we would do? In my mind, do 'em both — do the original lineup, play that record [2002's 'Beyond The Valley Of The Murderdolls'] in one special show and then play [2010's] 'Women And Children Last' with that lineup and do that show. Because it was two different eras that I'm really proud of, and I think all the members stood out and had their own identity, and I think it would be cool to do it that way. That's my personal opinion." MURDERDOLLS has been inactive since completing the touring cycle in support of "Women And Children Last", which came out in August 2010 via Roadrunner Records. Earlier this year, Joey told the "Talk Toomey" podcast that he wasn't opposed to the idea of collaborating with Wednesday 13 on new music. "Never say never, man — I mean, that's life," he said. "It's kind of funny, 'cause we have a bunch of songs that have been written and a bunch that are ready to go. Timing is everything, man — not necessarily anything about, 'Oh, we need to do this to impress people,' or, 'We need to put out this record or do something like that.' Timing in life is everything, so we'll see. Only time will tell." Jordison told CrypticRock.com last year that he "would love to do another record" with MURDERDOLLS. He explained: "I have this punk rock and pop side of me that I don't really get to get out in other areas in my life. When we did that band, it was just pretty much to express fun, have a great time, and kind of throw a monkeywrench into what was going on in rock and metal at the time, and it worked." Jordison — who played guitar for MURDERDOLLS — went on to say that the the tours he did with the MURDERDOLLS were "really awe-inspiring when you look in hindsight of what we accomplished in a short amount of time and the two records we did. I could not be more proud and happy of what we accomplished in that time," he said. "Everyone that was in that band, the couple of different personnels we employed, the MURDERDOLLS were killer." Wednesday 13 reunited with onetime MURDERDOLLS members Eric Griffin and Acey Slade on stage for the first time in over a decade on August 16 at Lucky Strike Live in Hollywood. The event, which celebrated the life of former MURDERDOLLS drummer Ben Graves, saw the trio performing some of the group's classic songs. Graves, who also worked with PRETTY BOY FLOYD and DOPE, passed away on May 9 after a year-long battle with cancer. He was only 45 years old.